Its hardness makes it a symbol of enduring love. Its clarity and refraction of light represent wisdom. Spread out - it signifies a butterfly, which to indigenous peoples of North America, Mexico and Canada also signifies immortality. It bears other meanings. Each connotes the symbolism of time and space, of epiphany and connections to all beginnings, of earth, mystics, and divinity. This is the diamond. The human obsession to this precious stone can be traced back in time. Early mentions of diamonds can be read in the Sanskrit text Arthashastra and Buddhist text Anguttara Nikaya indicating that their first discovery was in India, estimated to be not less than 3,000 years ago. These were discovered in the alluvial deposits along certain rivers in India - Penner, Krishna, and Godavari. These diamonds got there after being emitted by volcanic (plutonic) forces from the bowels of the earth where these gems were formed for billions of years. There are natural forces that bring the diamonds close to the earth surface. Like real VIPs, when they come, they make a grand entrance leaving a pipe-like path of tell-tale ore,called “kimberlite.” In today’s generation, those diamonds that sit atop these pipes make the priciest catch. Early Greeks called diamonds ‘adamas,’ literally meaning ‘indestructible.’ It was a widely held belief then that these stones are charms falling from the stars or tears of their gods that can ward off bad luck, heighten sexual prowess, and foster success. 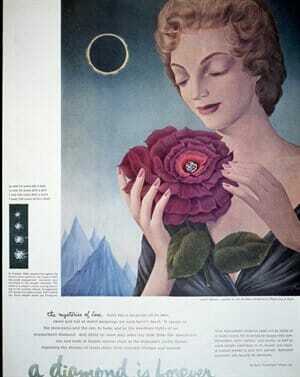 Plato even wrote about diamonds as living beings, embodying celestial spirits. With these beliefs, Hindus, Romans and Greeks, found two major uses for the diamonds.First, the stones were used as a talisman that grants supernatural power in battle. Second, diamonds were used to adorn bodies and to bejewel their deities. During the Dark Ages superstitious beliefs gave way to another use for diamonds: as a healing tool. St. Hildegarde re-counted how making a sign of the cross with a diamond clasped in hand or ingesting it like a pill was thought to cure ailments. 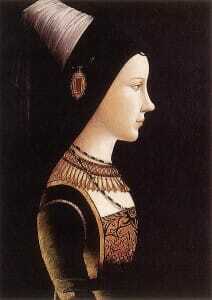 The diamond did not save Pope Clement though, who died in 1314 during the middle ages. Diamonds were not considered precious until much later. The recognition of the value of diamonds started in the middle ages with the unearthing of ‘huge and famous rocks’ in India - Koh-I-Noor and the Blue Hope. Since then and up until the 15th century, only Kings wore diamonds as a symbol of strength and courage. Being hardly available to people of lesser stature, it is not surprising that central focus of mining shifted from the mystical powers used to be associated with it to the excessive financial worth of diamonds. Myths that diamonds are poisonous became necessary to sow fear among mine workers and to prevent them from swallowing and smuggling the gemstones out of the mines. Until the 18th century, India was the principal source of diamonds. These reached China via the ‘Silk Road,’ a network of trade route connecting India to China. As the diamond supply in India became thoroughly exploited, attention was shifted to Brazil and Borneo. The small volume, however, hardly satiated the emerging demand for it. In the mid-19th century, the discovery of amazing diamonds - 21.25-carat diamond from the banks of Orange River in South Africa and 83.50-carat stone unearthed in Colesberg Kopje – sparked the biggest diamond rush to gratify the world's swelling hunger for diamonds. Modern and large-scale diamond mining eventually increased the supply that reduced the scarcity and value of this gem. This paved the way for the rise in popularity of colored gemstones - emeralds, rubies, and sapphires - among the upper class. Mining in Rhodesia, now Zimbabwe and Zambia, came through the efforts of Englishman Cecil John Rhodes, the man behind De Beers. He successfully built the company into a diamond cartel by handling mining, sales, and distribution known as Diamond Trading Company in London, The Syndicate in Israel, and the Central Selling Organization (CSO) in Belgium. Today, the monopoly has been reduced from 90 percent to 60–75 percent of the global diamond trade. Blame this on the discovery of other diamond sources. Thanks to the efforts of diamond hunters like Chuck Fipke. Chuck Fipke, who obsessively hunted for diamonds since he was 17, was the first to discover diamonds in the Northwest Territories of Canada in 1991 that gave De Beers a run for their diamonds. Fipke is now worth millions, but his diamond hunt continues.Over the last six years in Angola, Fipke has identified more than 100 targets. The potential deposits validated in the recent past includes Eastern and Western Australia. In 1979, Lake Argyle, East Kimberley region in the remote north of Western Australia, was identified as the largest diamond deposit in the world that is now the current producer of over a third of the world's diamonds extracted every year. To date, 90 percent of diamond jewellery is made from diamonds mined in African countries, with the remaining 10 percent in Australia, America, Israel and Russia. “Diamonds are forever.” This is a derivative of “A diamond is forever” coined by De Beers in their large-scale marketing campaign for engagement rings. Its success made people embrace the idea that when it comes to engagement rings, a diamond ring is the “only choice”. This 45.52 carats rock of a diamond is the most notorious diamond of all time. It was first owned by King Louis XIV. Aptly called the "Blue Diamond of the Crown" or "French Blue," he only wore it on ceremonial occasions. It was stolen when he attempted to flee France with Marie Antoinette. Since then, it changed hands from King George IV of England to Henry Philip Hope, from whom it took its name. Its grim reputation for bad luck spread as the entire Hope family died as paupers. It is now housed in the Smithsonian Institution that temporarily stopped the chain of mishaps to its owners. The use of diamonds in engagement rings is, by far, the most popular use for diamonds today. The tradition started in 1215 when Pope Innocent III declared the need for a waiting period from the date of betrothal to the wedding. In the interim, a ring worn on the third finger of the left hand, believed to have a vein (vena amorous) that runs directly to the heart, is used to signify the commitment. The first reference to diamond engagement ring was made in 1477 when Archduke Maximilian of Austria proposed to Mary of Burgundy. Today, notwithstanding the existence of diamond substitutes like the extremely popular and affordable cubic zirconia, still nothing beats the real thing. 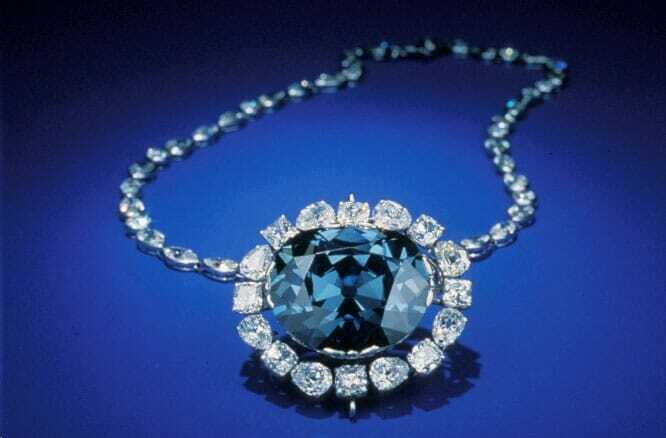 This is a fictional blue diamond necklace used in the film “Titanic” inspired by the Blue Hope diamond. James Cameron, writer/director of the film, concluded the film by letting Rose (played by Kate Winslet) drop the precious gem into the Titanic’s wreck site. The drama was intended to emphasize the lessons of the movie. Cameron said, “… it's a kind of an anti-materialist statement about finding things that are really important in life," he said. Today, diamonds continue to make history as the earth’s stock is slowly depletedand its price continues to soar. With the need to process about 40 to 250 tons of ore just to recover a high-quality 1-carat diamond, the depletion of diamond deposits is inevitable. Experts estimate that all known supplies of diamonds will be depleted in 30 to 40 years. The diamond fuels a $14 billion industry today and goes with too much politics. The scarcity will make the prices climb even more, and the politics will get more aggressive. The diamond’s scarcity, unsurpassed beauty, hardness, and financial value made it a coveted gem for the nobility, the wealthy, and the astute. That does not change to this day. The human interest in diamond has not waned through time making it a timeless emblem of love and lust for money and power. For regular folks, however, the sheer interest of how the diamonds came to be is more than enough to take an in interest in its history.